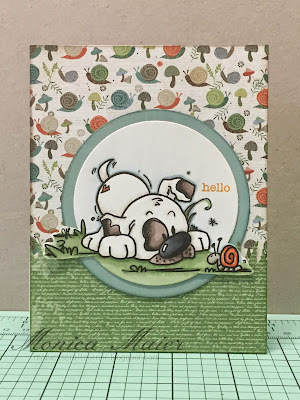 Here is my third card contribution for the Die Cut Divas blog June bug challenge. 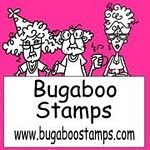 I adore this puppy image from Bugaboo stamps. I used some selective die cutting around the image so that I wouldn't cut off the snail and grass. Used some paper that I had in my stash and thought it would be a great compliment to the image. I colored the image with copics to coordinate with the paper. Fashion is the only thing in the world that never fade. I love stopping by here! This is so great art.